A customer approached us asking for a pumping solution that could replace some older existing progressive cavity pumps that were pumping an oily water mix out of two sumps into an oil interceptor. First and foremost, the pumps needed to have a gentle pumping action so as not to emulsify the oil. Furthermore, they also needed to be able to do a dry self-prime which required a limited dry run ability. Physical space was also restricted and the customer was looking to reduce the pump footprint. Have a very gentle non-emulsifying pumping action. Mouvex pumps have very low internal velocities making them very shear sensitive. Generate exceptional suction lift – even when dry. Have a limited dry run ability – something that the existing progressive cavity pumps didn’t have! Are efficient. 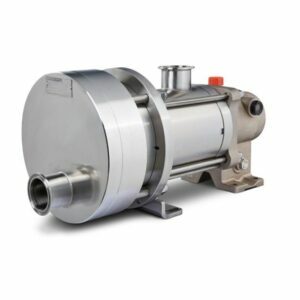 These pumps use very little power and the running costs are expected to drop significantly compared to the progressive cavity pump.